Feeling happy about the appearance of your smile can enhance your self-esteem and give you more confidence in social settings and the workplace. Dr. LeVos approaches cosmetic dentistry with an emphasis on a natural-looking smile that fits the shape of your face and lips. The goal is to make you feel good about the appearance of your smile while maintaining or restoring proper function. We want to duplicate nature in the best way, so the aesthetic and functional result of your cosmetic dentistry is attractive in a natural way. Others will notice that you have a bright smile that warms up your face, not that you have good veneers or a great bleaching routine. When it comes to teeth whitening, there are advantages to professional teeth whitening versus the use of teeth whitening kits available at the grocery store. At our office, we first take a mold of your mouth to create a custom fit tray so that the bleaching solution will be uniformly and thoroughly distributed to your teeth, resulting in an even finish. Over-the-counter whiteners are not as potent as dental grade whiteners and take longer to give you results. Additionally, if you have especially sensitive teeth and gums, we can also customize a milder solution for you. We offer teeth whitening programs that you do at home as well as more intensive bleaching session in our office that provide longer-lasting results. 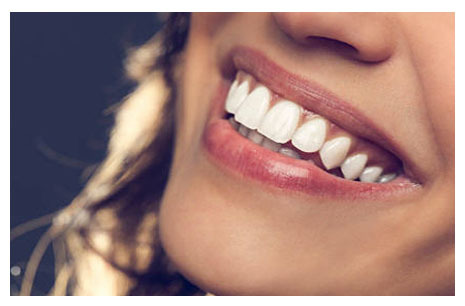 Veneers are a relatively simple way to put dazzle in your smile. Veneers are thin, porcelain facings that are bonded to your teeth. Veneers can conservatively change the shape and color of your teeth, creating a brighter, more youthful smile. They’re great for covering permanent discolorations, chips, cracks, and misshapen teeth. If you are considering veneers, Dr. LeVos will first spend time understanding your expectations and desired results. A mock-up of your veneers can be made on your teeth so that you can see how they will look before starting treatment. Photographs will be taken so that your veneers are designed in the most aesthetically pleasing way for your lips and face. The procedure typically takes two visits. During the first visit, a mold of your tooth (or teeth) is formed that will be used to create the veneer(s). On the second visit, the permanent veneer is applied. Veneers cannot be used if you have gum disease, decay or a root canal infection, but once those are remedied, you can move forward with the process. Bonding is a cost-effective way to treat teeth that are discolored, chipped, crooked, cracked or misshapen. Bonding material is shaped and formed to your existing tooth, creating a stronger tooth and giving it a natural appearance. The procedure can be done in one visit and last several years before it needs to be touched up or redone. Crowns are designed to replace missing tooth structure, reinforce cracked teeth, and restore teeth to proper function. Crowns may also be used to change the color and shape of teeth. Crowns are made to fit over, or “cap” teeth. All crowns should fit properly and porcelain ones should look like natural teeth. Crowns can be made entirely of porcelain or have a gold alloy on the inside surface. Sometimes gold crowns may be preferred on back molar teeth for better durability. Remember, not all crowns are the same. How the tooth is prepared, the type of material selected, and the laboratory expertise are critical to the success of a crown. A person’s oral hygiene habits and occlusion (biting forces) are also important to a crown’s longevity. Getting a custom crown begins with the tooth or teeth being prepared and impressions made. At this time, the proper shade is selected, a temporary crown made, and photographs taken, if necessary, for laboratory communication. At the following appointment, the prepared tooth is carefully cleaned and the crown is cemented. Straightening your teeth will not only give you a new smile to love, but it will help keep you and your teeth in good health and reduce the risk of problems developing down the road. Crooked, crowded, or gapped teeth can cause issues in function and comfort. An unbalanced bite can lead to painful TMJ (temporomandibular joints) issues. Crowded teeth are more prone to decay and accelerating gum disease, as they can be more difficult to clean. Orthodontics is used to straighten your teeth and correct misaligned bite issues. There are many different treatment options from fixed appliances (such as braces) to removable appliances (such as retainers or expanders). Dr. LeVos works with well-trained specialists to provide you with comprehensive orthodontics services.